We make no bones about it: The property market in London is a tricky one to navigate. With soaring rents or colossal mortgages for seemingly smaller and smaller shoebox-style apartments, it is easy to wish for a Magic 8 ball to locate where the next under–the-radar place to move to is. You know what we’re talking about — that mythical location with independent stores, gastro pubs and fantastic coffee shops. The Times have answered our prayers with a breakdown of the top 30 coolest places to live, in all of Britain. The newspaper based their findings on current house prices and the assessments of housing experts. The suggestions run north, south, east and west. Devon's Totnes, Kent's Folkestone, and Edinburgh's Stockbridge are all mentioned. 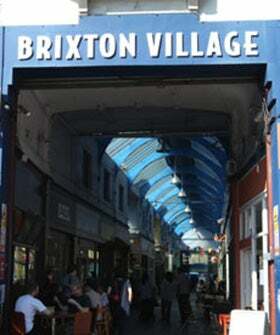 But sadly, only two London locations, Bethnal Green and Brixton, feature as boroughs with cool factor. The Times mentions the their wealth of independent boutiques and bourgeoning food and flower markets.